Being caught with drugs can have serious repercussions and the police do not take these type of offences lightly. If the police believe you were selling drugs on, or giving them to your friends, then you are likely to face charges of possession. The severity of this depends initially on what class drug it was and other factors, such as the quantity and whether you have any past convictions. If any amount of illegal drug is found on you, it is chargeable as possession. Possession charges vary on many different factors. On the first occasion that you are caught in possession of a small amount of any drug, even for personal use, it is likely you will get a formal caution, even if the drug is categorised as a Class A. Although a caution is not a conviction, it will stay on your criminal record forever and will effect your future in many ways. If this is not your first offence, the consequences can be severe. 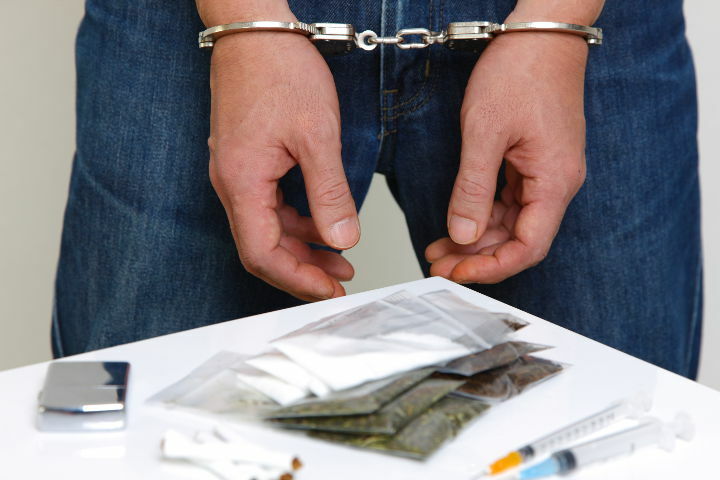 It is likely you will be formally charged with possession, especially if you were found with a large amount of drugs with a high net-worth value. You could be sentenced to months or years in prison. The sentence is worse if you were caught with the drugs near a school or in prison. The maximum sentence for possession of a Class A drug is seven years in prison and a fine. For a Class B drug it is five years and a fine, and for Class C it is two years and a fine. If you have been caught with drugs and are facing charges of possession, you should seek legal advice as soon as possible. We appreciate that this may be a very difficult and stressful time and we can assure you that we will make this process run as smooth as possible. At Bloomsbury Law, we understand that no case is the same. This is why we work on a bespoke level to provide you with the best service possible. If you are seeking legal advice, call one of our specialists, we will listen to your situation, answer any enquiries that you may have, and advise you accordingly once we are instructed.